This is one of those freaks of science that will have completely obsolesced within 10 years. 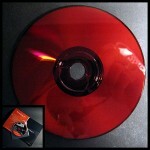 A Flexplay disc is shipped in a vacuum-sealed package. There is a clear dye inside the disc, viagra approved link contained within the bonding resin of the disc, which reacts with oxygen. When the seal is broken on the vacuum-packed disc, the layer changes from clear to black in about 48 hours, rendering the disc unplayable. If unopened, the shelf life of the sealed package is said to be “about a year.” The DVD plastic also has a red dye in it, which prevents penetration of the disc by blue lasers, which would go straight through the oxygen-reactive dye.